No matter what size job site or operation you are working on, Rock Drill Sales and Atlas Copco have a compressed mobile air machine that can help you get the job done. Below, you can view highlights for each machine, manufacturer specification sheets for each individual model and the option to request a customized quote for purchase.Have questions? Contact us and a member of our team will get in touch with you directly. 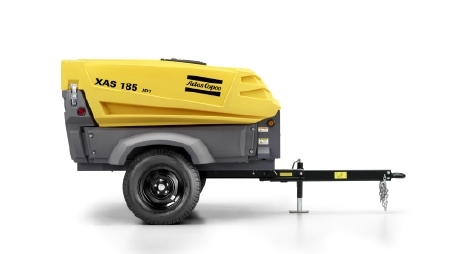 Don't let the compact size of the Atlas Copco HardHatTM XAS185 portable air compressor fool you. This compressor, featuring a revolutionary polyethylene canopy, is one of the toughest and most efficient air machines in the industry. 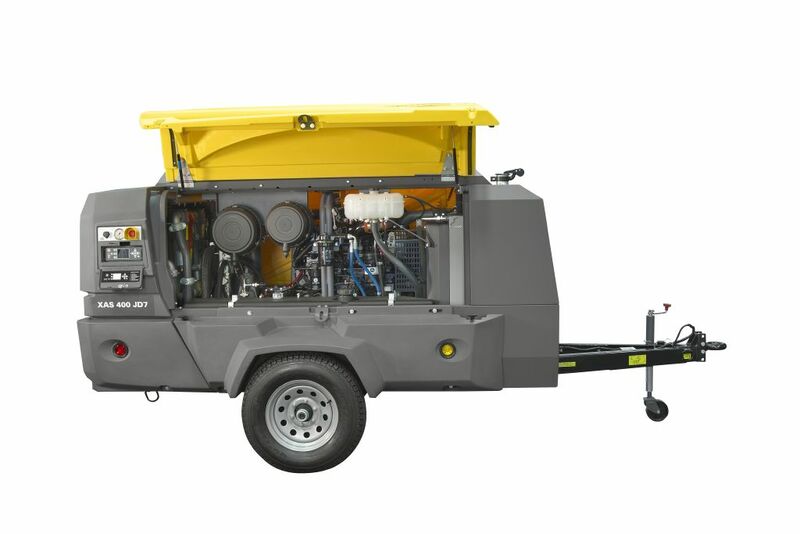 You can also add tons of options to this model, including: single and double mounted hose reels and external toolboxes. If you need a portable air compressor that can "take a beating" and keep on going, check out the Atlas Copco HardHatTM XAS400 & HardHatTM XAVS400. These compressors offer all the great features of the XAS185 and the same durable polyethylene canopy, but can also include advanced options, such as: LoJack theft recovery, hydraulic brakes, or a heavy duty cold weather package. 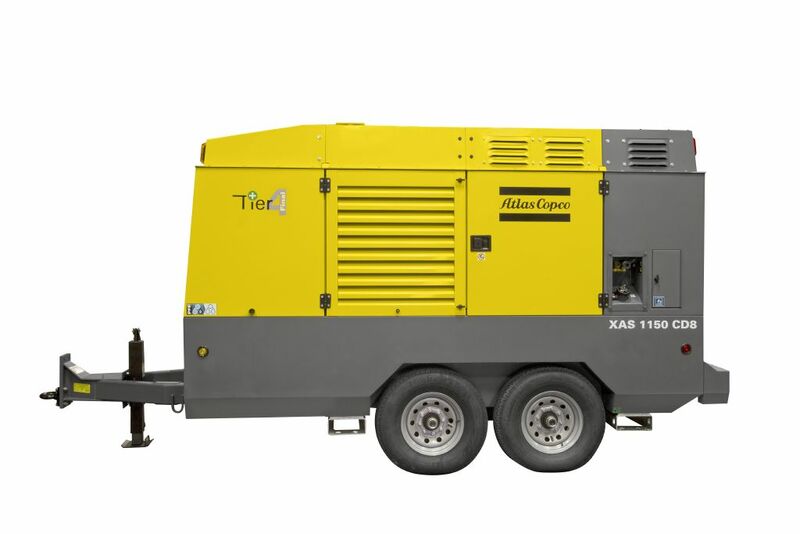 The Atlas Copco HardHatTM XAS1150 portable air compressor is one of the largest and most efficient models on the market today. This compressor features a full color LCD screen, single pneumatic regulator, and large oversized doors to provide quick access for maintanence. The XAS1150 is built on a tandem axle platform trailer made from heavy gauge, powder coated galvanealed steel. For more information on our diesel mobile air compressors, give us a call at (770) 483-0788 or contact us today. We look forward to speaking to you!